Walked into Bloomingdales today and what did I see? 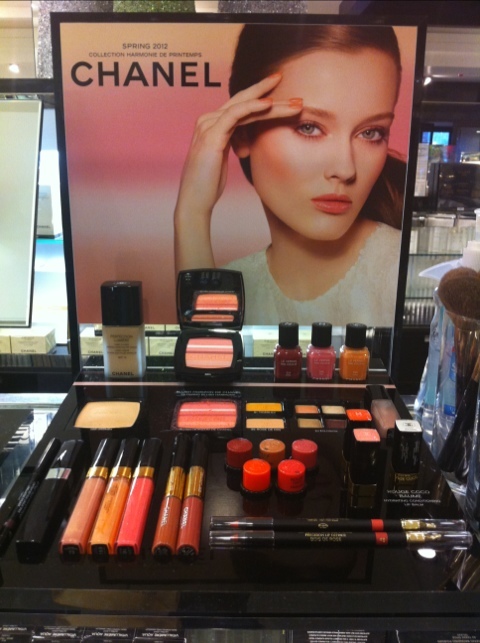 Chanel Spring 2012 looking at me! I picked up only two items (this collex was supposed to come out in frakking January 2012!!!) which is the blush and the July peach polish. Will put up a review and swatches as soon as I can.